We have been using our Mac systems for years now and there are built-in tools in the OS to assist the users with their daily needs. However the question arises – are these software’ always efficient? Tech companies have always managed to realize this void and come up with better tools having a wider range of features. 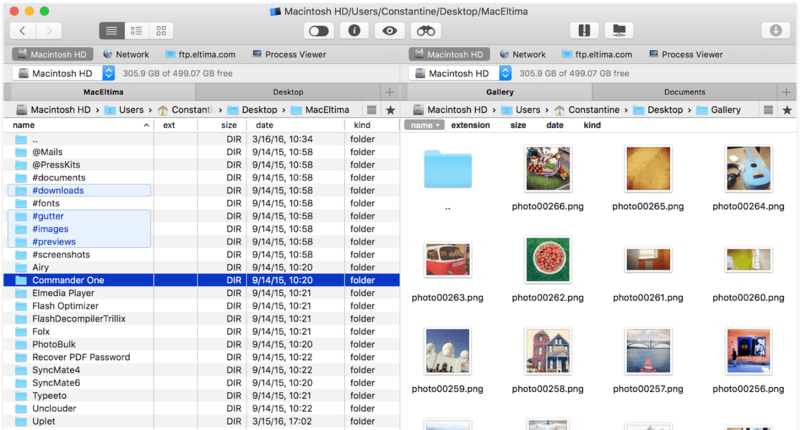 One such tool is Commander One, developed by Eltima Software which is a dual pane file manager that works as a better alternative for default OS X file manager. Commander One, offers two panels, gives flexibility of setting up hotkeys for frequently used actions and has a simple interface housing plethora of feature. Let’s explore the features offers by the same. 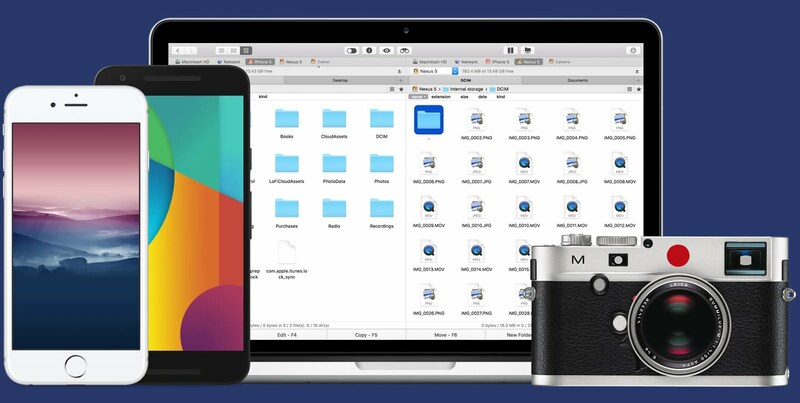 Commander One provides you a full scope to manage your documents by giving you the root access for all files and a “Brief mode” that allow management of multiple folders at once. Further, it gives access to hidden files in a single click and ease of access to favorites and current folders. The built-in file viewer supports text, media, image, HTML as well as Hex and binary file formats. Commander One utilizes RegExp support to search for any files and folders. With the help of regular expressions, it provides a precise search using functions like mod, case sensitive, etc. The two generic types to this search base are listed below. It falsifies the notion that a document search takes place only by its name! 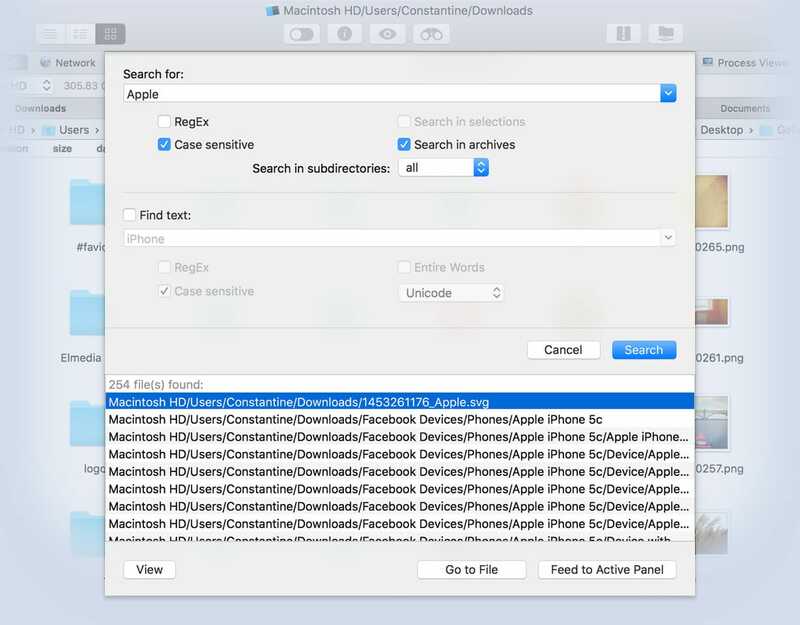 You can also search the document with its content; Commander One’s flexible settings and text encoding make this feature extremely effective. This is an additional search in on top of ‘advanced search’ and ‘search by content’, ensuring you find your way through that important file. Commander One has definitely great speed and optimization. While working with the tool and constantly moving the files along with performing complex operations we realized the tool is quicker than most of the similar apps we have used. Speaking about optimization, it is decent and saves time & disk space at the same time. This being an FTP tool, saves disk space by uploading files on the cloud instead of HDD. 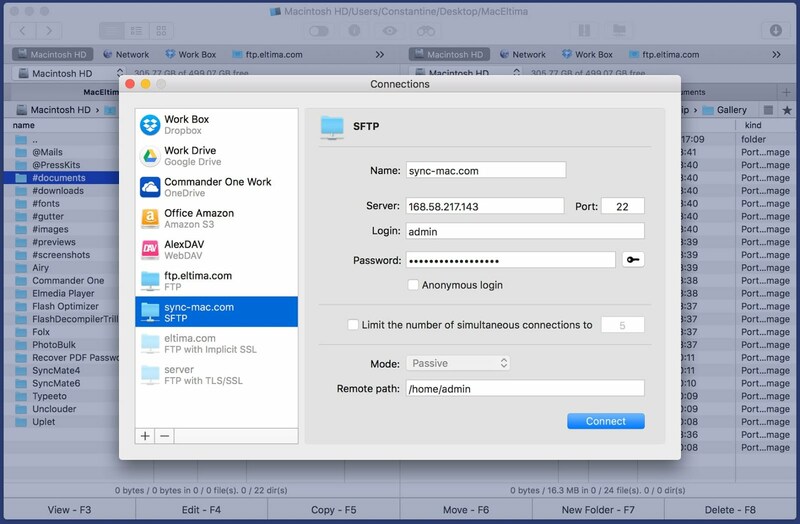 FTP has a dual panel, giving you the flexibility to connect to remote server using FTP, FTPS, and SFTP and sharing files across them. The FTPS allows file transfer with greater security enabling to have a reliable stream and data transfer. Are you one of those people who work on multiple files and folder? In that case, One Commander may be the app for you. It is not that only “Several” tabs that can be opened but you can open unlimited tabs each having separate info about each folder. This greatly adds to multitasking capabilities and makes One Commander a versatile tool. No matter how much a tool is capable, at the end of the day, it boils down to “Is it worth this much money?” Well, I believe Commander One excels in that arena as well, the basic version itself provides all the necessary functions to successfully transfer, edit and perform other needed operations on files. The icing on the cake being, it’s amazing tech support team, if you are a Mac user, you will realize the true potential of this tool.